Hi Friends! Ellie likes newcomer Joel, and he’s the first Amish man to show interest since her return to Charm. She’s afraid when he learns of her rebellious past and the danger she brought to her family before turning her life around, he’ll end their courtship. Joel is frustrated his sister left Amish life before his family moved to Charm. He chooses not to tell Ellie about her, until he has no choice. What does the future hold for Ellie and Joel when their secrets are revealed? Along with the story of Ellie’s Redemption are recipes! Here’s one just for you! Ellie’s Surprise Cookies 1 cup shortening 2 cups rolled oats (quick cook) 1 cup white sugar 1 teaspoon soda 1 ¼ cup brown sugar ½ teaspoon vanilla ¼ teaspoon cinnamon 1 ½ cups chocolate chips 2 eggs 2 cups flour 3 teaspoons baking powder 1 teaspoon salt Sift dry ingredients. Cream sugar and shortening. Add eggs and beat until fluffy. Stir in dry ingredients. Add oatmeal, vanilla and chocolate chips. Dough will be crumbly. Spoon a teaspoon of dough at a time on a cookie sheet and bake at 350 degrees for 15 minutes. To celebrate her tour, Molly is giving away a grand prize that includes an Amish doll, a handmade lap quilt (can be used as wall hanging), an Apple Pie recipe tea towel, a Blessings journal, a handmade quilted potholder, a $10 Amazon Card, Ellie’s Redemption Print Book, a mug, a 2019 Planner, pad and pen set, and a bookmark!! 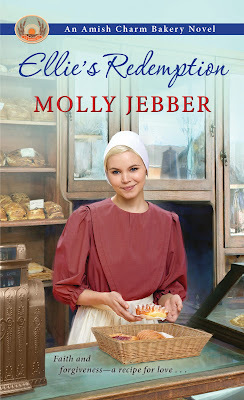 Ellie's Redemption is the second installment from Molly Jebber's Amish Charm Bakery series. This Amish historical takes a reader back in time to 1912 Ohio. Ellie Graber comes back to her Amish community after leaving following the death of her mother. 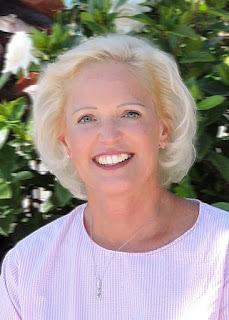 She is excited to with her community again. Especially, when she starts a friendship with Joel. Only his mother is not too fond of Ellie, causing drama between two friends. Will Ellie be able to change Joel's mother's mind? What will Ellie have to do to save her and Joel's relationship? I enjoyed Ellie's Redemption and thought it was a pretty good read. I instantly felt connected to Ellie from page one. I wanted to root for her and was hoping all would end well for her. I just had to find out what would happen with her and Joel next. I am giving Ellie's Redemption four and a half stars. 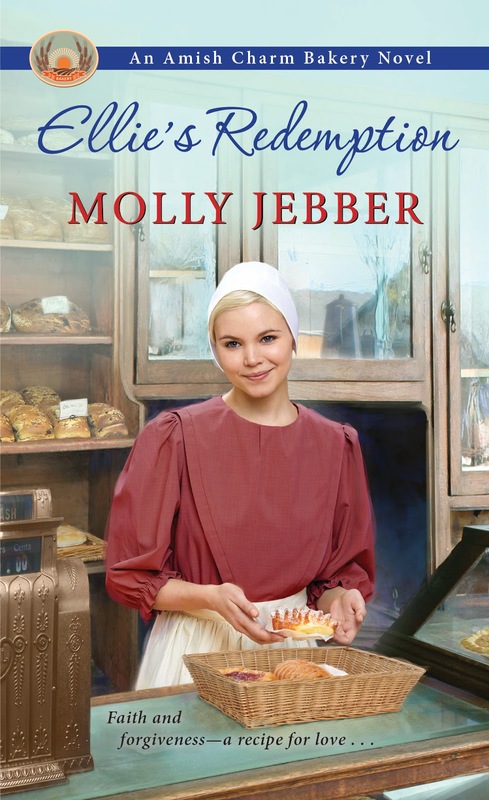 I look forward into what will happen next in the third installment of the Amish Charm Bakery series. 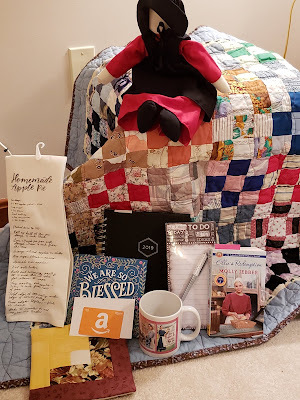 I highly recommend Ellie's Redemption for those who enjoy a good, well written, sweet and clean Amish story. Always fun to hear about another new great book. Thanks for sharing!